These Scratch and Dent Locker are available on www.buyusedlockers.com where they have a huge selection to choose from if we need additional supplies. These are brand new two-tier lockers that received some cosmetic damage during shipping and have been discounted accordingly. Aside from a few scratches, the lockers are brand new and function perfectly. Each compartment is 12" wide x 15" deep x 36" high in columns that are 78" high including the 6" legs. 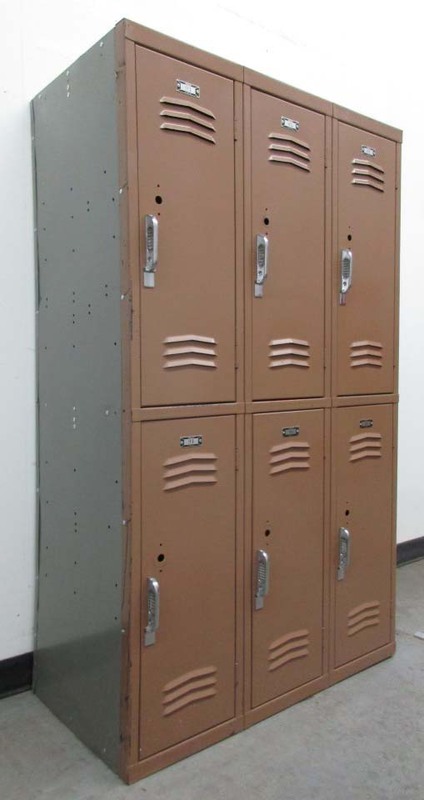 Used lockers are ideal for schools, businesses, and home use. They offer secure storage for valuable items at a reduced cost. They ship assembled and are ready to use once they are delivered to your location.